Place of Refuge Society is a Christian organization that is licensed by the city of Vancouver and regulated by the Assisted Living Registrar of British Columbia. 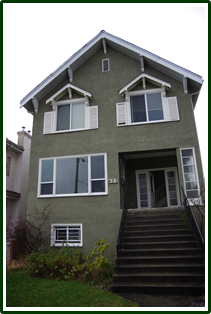 We provide a transitional living program for people recovering from alcohol and drug addictions. Our mandate is to provide a safe environment for people to become healthy, confident and drug-free. We consider dependency to be a physical, mental and spiritual disease and the chemically dependent person to be deserving of the same respect and dignity afforded to persons afflicted with any other illness. We believe that individuals can recover from their disease and can rebuild abstinent, productive lives. Program graduates will have recovered to the point where they can successfully integrate into the community. Place of Refuge does not rely on government funding. Instead, support is raised through client contributions, donations from individuals, sponsoring churches, and MCC British Columbia. 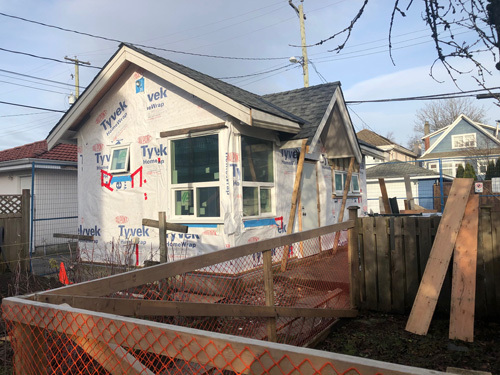 The Make Room for More building project continues, and we are pleased to see steady progress toward a new resource centre, which will allow Place of Refuge to welcome another resident into our home. The board sub-committee (Ron Suderman, Hubert Regehr and Len Block) and their faithful crew have been hard at work. In late summer we were excited to see the frame of the building take shape; and by the end of 2018 the resource centre had a roof, windows and exterior insulation. By the end of January we hope to see the electrical, plumbing and siding exterior siding completed. 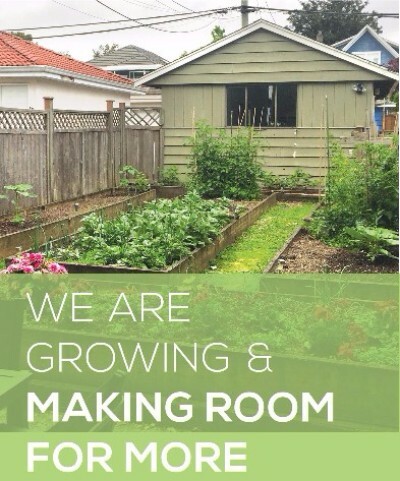 The projected completion for Place of Refuge’s Make Room for More building project is Spring 2019! The Make Room for More project would not be possible without our crew of volunteers, generous donors, and the churches faithfully providing prayer. Place of Refuge thanks you for your support and encouragement. 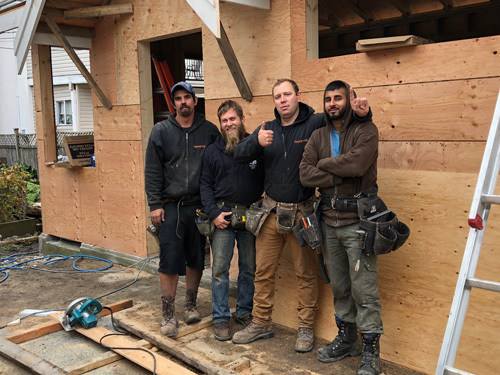 The need for safe addiction recovery housing continues to grow Vancouver. Place of Refuge currently houses nine residents and has a substantial waiting list. Through the hard work of Jeff Borden, Executive Director, we have have received a city permit to turn our seldom-used detached garage into a resource centre for private counselling and group sessions. By moving these meetings from the house and into the new location, we open up a bedroom for a tenth resident. The expected cost to Make Room for More is $50,000 including gifts of labour and materials. Please consider making a donation to Place of Refuge and our efforts to Make Room for More. This will assist us in providing more men a safe place for addiction recovery and clean living.